India is a prominent global voice that has made significant progress on human development over the past 60 years, but the benefits of a growing economy are not shared equally – the country is still home to one third of the world’s poor. In addition to widespread poverty, gender discrimination is a pervasive issue and the ratio of girl children to boy children is decreasing steadily. The Hunger Project has seized on this key change in India’s political structure. Since 2000, we have trained more than 175,000 of these elected women to read, write, speak and lead the political agenda to improve education, health, and nutrition in their villages. 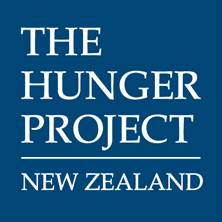 The Hunger Project India from The Hunger Project New Zealand on Vimeo. To date more than 175,000 women have been trained by The Hunger Project in India and their partners who lead more than 4.6 Million people in their villages. We work closely with these Elected Women to give them the necessary tools to operate effectively within the local government. The training follows the women throughout their term in office and brings women together in geographical clusters called Federations to continue to strengthen their voices and increase their impact. These women have gone on to do remarkable things in their villages including bringing fresh water supplies, electricity, healthcare, pensions and education to their villages. Meet Manju Kumari, 23, Elected Woman Leader of a village in Rajasthan, India. With the support of The Hunger Project, Manju is challenging traditional ideas of what women can do with their lives. She uses the power of her office to create new opportunities for girls and women in her community, and she inspires them to confront rigid gender roles and resist pressure to marry in their teenage years. An estimated 47% of girls are married before the age of eighteen in India. The Hunger Project India is empowering adolescent girls to take a stand against child marriage. These are their stories. The Hunger Project India works towards strengthening the political leadership of Elected Women's Representatives (EWRs) in Gram Panchayats (local village councils), so that they are able to practice good governance, advocate for social and gender justice and build the agency of adolescent girls.